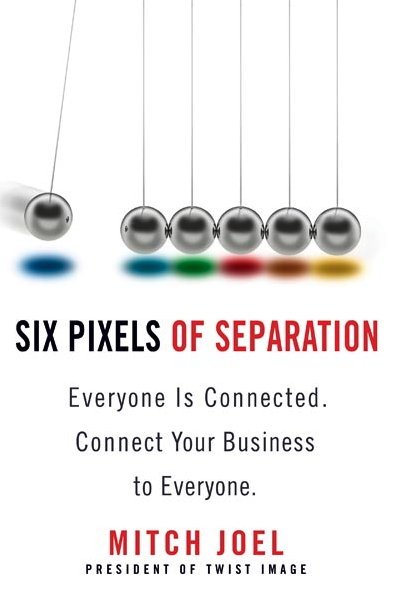 After I pestered him with questions about marketing and social medial, my son, who’s in marketing and buys lots of books in this domain, gave me Mitch Joel’s Six Pixels of Separation to read. It’s a straightforward book – and I mean that in the most positive way, for what’s the point of writing if only a few can absorb the information – with the premise that everyone is connected and lots of advice about how to work in the new paradigms that are so rapidly emerging. Joel pitches his book with entrepreneurs and business managers in mind, but the messages apply equally well to any author who is building a brand and a writing business and I thought some of the ideas that stood out for me might resonated with those following A Writer of History. In a world where anyone can connect to anyone else, authors have the opportunity to match their content to consumers who are looking for it. Instead of a billboard at a bus stop with an image of your latest book jacket and absolutely no idea of who is going to take notice, you can interact with communities focused on your type of writing, whether it is historical fiction enthusiasts, haiku practitioners, Italian foodies, real estate brokers or any other group with a common interest. People expect to be able to find you, either on Google, Facebook, LinkedIn or Twitter or some other social media tool. Or all of these places. Ask yourself whether your digital footprint is communicating what you want it to. In my case, this is definitely a work in progress! And, by the way, to do this effectively you need to decide what you want to communicate. People love to share their experiences with others and to help others, even strangers. People also love to find others who are like them. If you are a writer with a blog, does it help others? Does it enable your community to interact and share their thoughts? Do you interact with others in the larger community? Do you create conversations? Mitch Joel talks about the trust economy – people trust others in their communities – and the wisdom of crowds – opinions propagate through the community. For authors, one place these concepts play out is in the realm of book reviews. The communities interested in what you write will review your works, form opinions and propagate those opinions. A corollary to the trust economy is that trust is built over time. Think of this as you engage with communities, begin your blog or website, activate Facebook and so on. Quality is more important than quantity. Content rises to the top of search engines based on how valuable it is to those online and how long it has been available. Authors might conclude that this statement applies only to non-fiction, however let’s imagine a writer of mysteries who in his or her spare time, shares sources of information on police methods, forensic science, unusual crimes and other tidbits that interest mystery readers. People are moving from consuming to creating. What might this mean for writers? It seems to me that writers can no longer think of their readers as passive players at the end of a long chain of events. Will writers find ways to co-create with their readers? Joel uses the term ‘snackable content’ to advise businesses that their customers want bite-sized pieces especially in a world of so much content that we can only skim and can never expect to keep up. Time is a precious commodity – books require time. 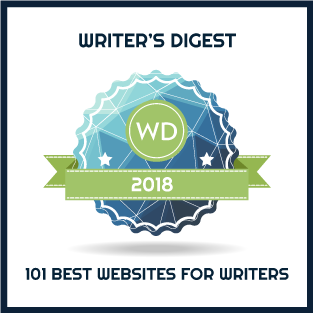 Writers might want to consider ways to deliver bite-sized content. The digital space is like a big focus group and the key to conducting a successful focus group is to ask questions. Think about the questions you might want to ask your readers and potential readers. This post merely highlights a few insights from Six Pixels of Separation. Mitch Joel provides 273 pages of advice. It’s definitely worth a read. A very helpful summary of what sound like a perceptive book which is relevant for all who live in the digital age. Thanks.